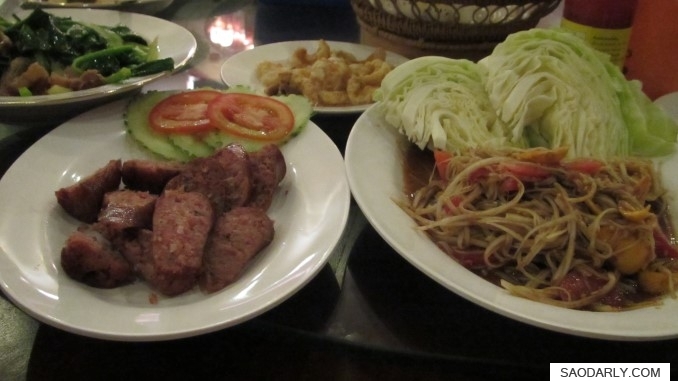 Lane Xang Restaurant is one of many places in Vientiane with live Lao music and traditional dancing show in the evening. 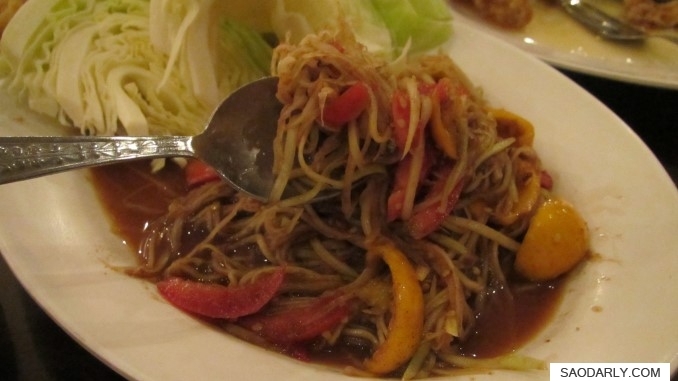 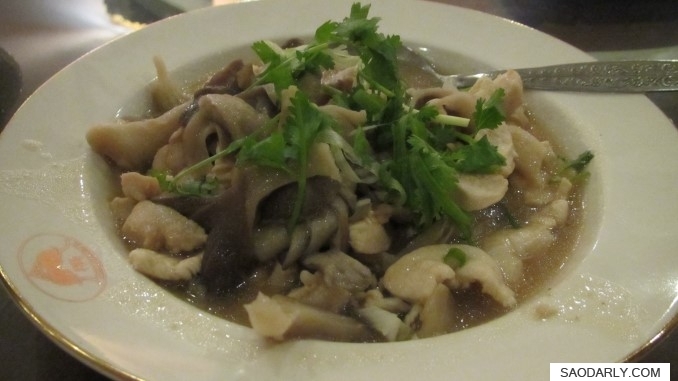 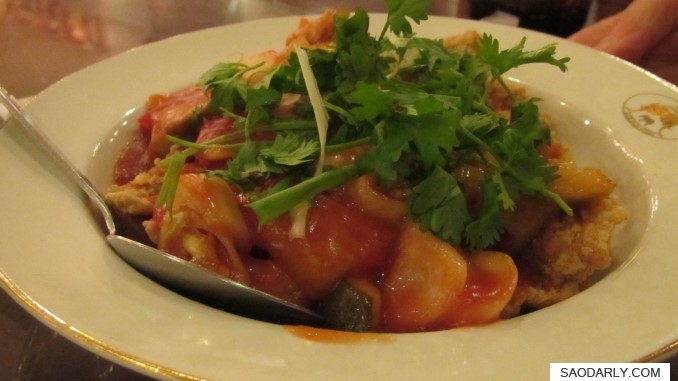 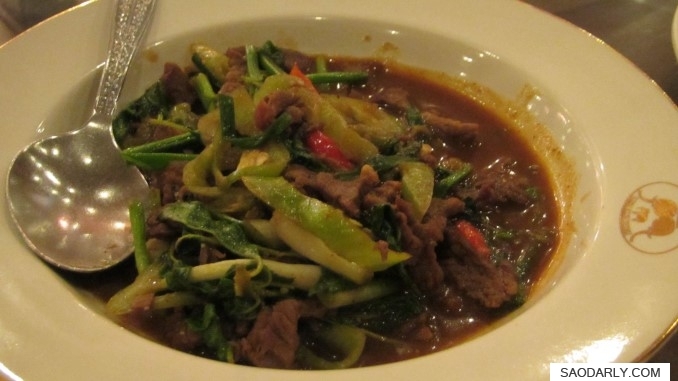 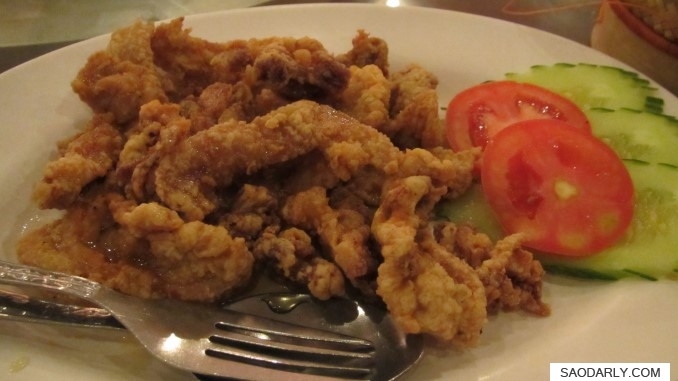 There are plenty to choose from their menu with Lao Food and other dishes. 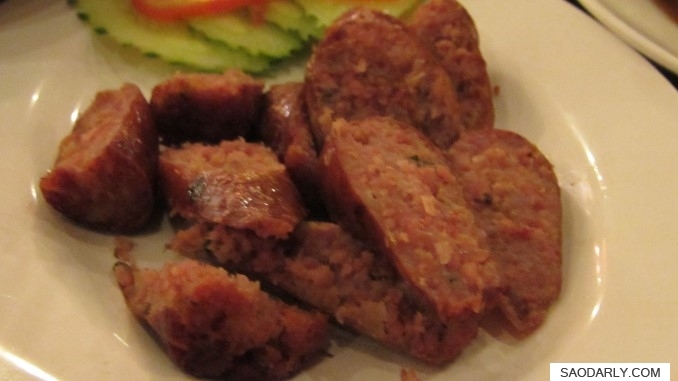 Since I like eating Tam Maak Hoong aka Lao green papaya so much, I couldn’t help but try a plate with Sai Aua (Lao sausage) and sticky rice.